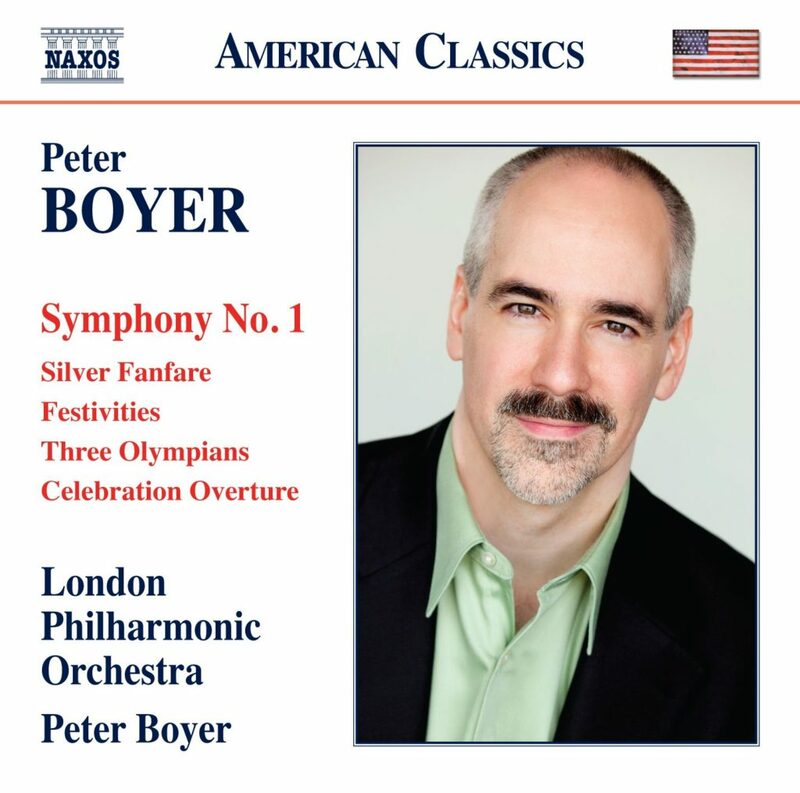 Peter Boyer’s Symphony No. 1 was commissioned by the Pasadena Symphony, and premiered by that orchestra under his direction in April 2013. 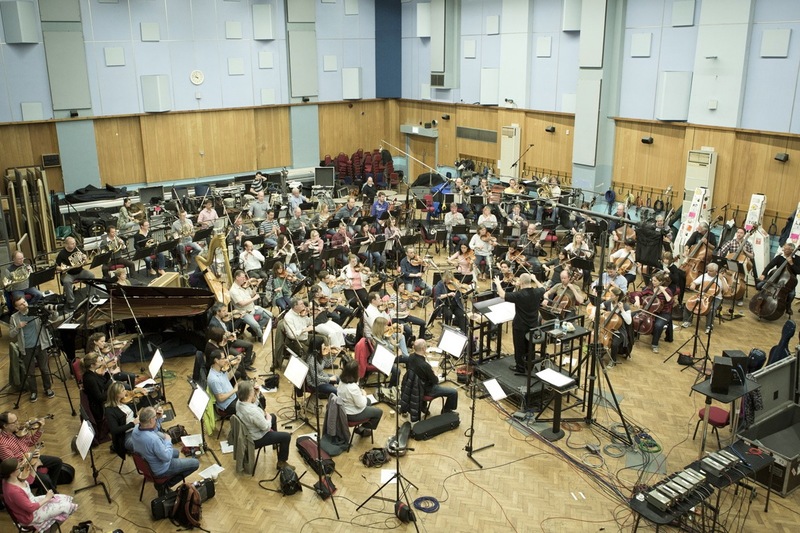 The three-movement, 24-minute symphony is dedicated to the memory of Leonard Bernstein. 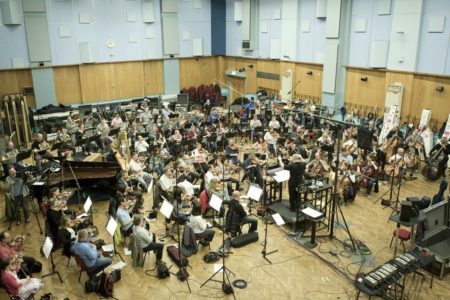 The symphony is the centerpiece of a new recording of Boyer’s music by the London Philharmonic Orchestra, conducted by the composer at historic Abbey Road Studio One in 2013. Released worldwide by Naxos in its American Classics Series in February 2014, the recording also includes four other Boyer orchestral works. It has been broadcast on over 150 radio stations around the U.S. and abroad. A commission for a first symphony is a special opportunity for any composer. I have been fortunate to receive numerous commissions for orchestral works, many of which have focused on historical or mythological subjects, or were composed to celebrate specific occasions. 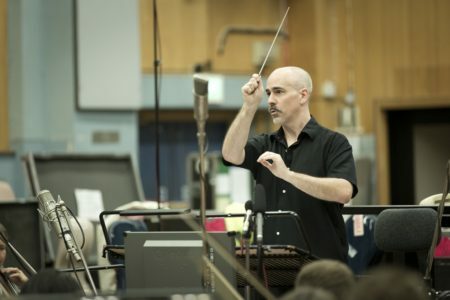 While each of these projects has been creatively fulfilling, for several years I have contemplated the challenge of creating a purely musical symphonic work on a somewhat large scale, and this commissioning project provided that opportunity. For any contemporary composer, the decision to title a work “symphony” is a rather daunting one, given the rich and diverse legacy of masterworks in this genre. That decision also raises a number of questions which must be answered: How long a work? In how many movements? Should it be “program music” or “absolute music”? Should the work’s structure and style be based, to some extent, on the symphonies of the standard repertoire? And if so, which symphonies, from which era(s), and which features of those works should serve as models? Having never before undertaken a symphony, this was my first time confronting these questions. 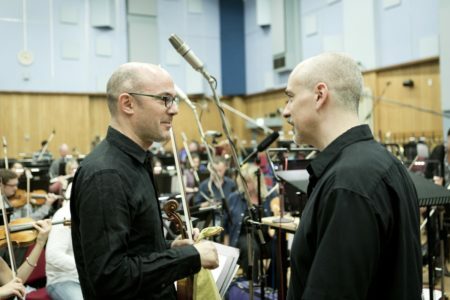 In grappling with them, I realized that any attempt to compose a work meriting comparison with the symphonic masters was doomed to failure, and it would be unrealistic to set the bar that high for myself. However, I did wish to make an attempt at the genre. Though most parameters of the work were left open to me, its duration was determined by the commission, which specified a work of approximately 25 minutes. That provided a starting point: a length that meant the work would be closer in duration to, say, the first symphony of Prokofiev (c. 15 minutes) than to that of Mahler (c. 55 minutes). The freedom from any specific program offered by this commission led me to decide that I would not impose any particular plan on the work from the outset, but would simply start composing material and see where it led me. I did feel that there were two common elements of past symphonies which I wanted to include: a scherzo and a lyrical slow movement. Months of sketching led me to an initial sense that the work would be in four movements, and I composed extensive material that was intended for a fourth finale movement. However, as I continued work on the Adagio third movement, its length grew, and I realized that a final variation of its theme was leading to a grand conclusion, making a separate final movement superfluous. So I discarded the incomplete finale material, and settled on a three-movement plan. 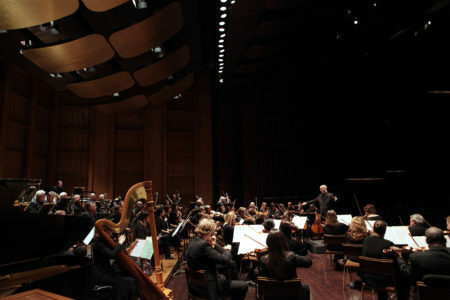 In the twentieth century, many composers wrote three-movement symphonies, including Sibelius (his Third and Fifth), Walton (his Second), Hanson (his First, Second, and Seventh), Shostakovich (his Fourth and Sixth), and Stravinsky (his aptly-titled Symphony in Three Movements), among others. 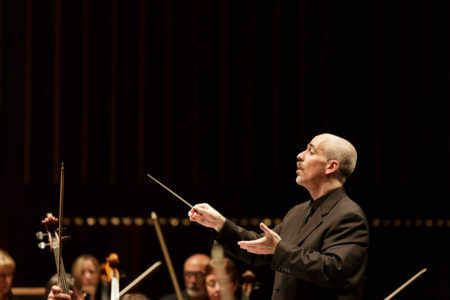 Notably, the first symphonies of two American composers whose musical language is much closer to my own are each in three movements, with durations of about 25 minutes: Copland (his Symphony for Organ and Orchestra of 1924) and Bernstein (his Jeremiah Symphony of 1942). The structure of the first movement, “Prelude,” contains aspects of both arch form and variation form (and does not employ the sonata form characteristic of first movements of many classical symphonies). This movement is based primarily on a single theme, which is introduced immediately by the second violins. This eight-bar andante theme is modal (mixolydian) in character, and has a certain tonal ambiguity. The first section of the movement is a fugato, with subsequent entrances of the theme occurring in the first violins, cellos, and woodwinds. The theme contains a built-in modulation, with the result that each subsequent entrance is pitched a fourth higher than the previous (B-E-A-D-G). The first section gradually reaches a climax, and the second section begins with a doubling of the tempo, and new fanfare-like material played by the brass. In this section, the main theme is developed, now at the double tempo, and sometimes in canon; the fanfare material also recurs. This leads to a dissonant climax and a sudden pause, out of which the cellos emerge playing a single note. Then begins the third and final section, marked to be “suddenly more serene.” Violas and harp introduce a gentle accompanying figure, then violins play further variants of the main theme in canon, again in modal harmony. Woodwinds take up the accompanying figure, and a solo horn plays the full theme over sustained strings to end the movement. The second movement is entitled “Scherzo/Dance,” which is descriptive of its character. Here I wanted to combine the energy, phrasing and structure of a classical European scherzo with more “American-sounding,” unusual rhythmic patterns. Whereas the phrasing of a Beethovenian scherzo typically consists of twelve fast notes (3+3+3+3), my rhythmic pattern employs thirteen fast notes (3+3+3+2+2). Though the “extra” note creates an asymmetry, the larger groupings of phrases are indeed symmetrical, and the music clearly has a dance-like quality. (As I was composing this, I continually wondered, “Can I make thirteen groove?” I hope the answer is yes.) The movement employs a classical “scherzo–trio–scherzo” structure, in which the trio is somewhat slower and more lyrical. Long stretches of tutti playing here test the players’ stamina, particularly of the winds and brass. Like the first movement, the third movement, by far the longest of the three, is based primarily on a single theme: a rather long lyrical melody first stated by horns, bassoon, and cellos. This theme was the very first music I composed when I began sketching the symphony. In subsequent statements, more instruments take up the theme, and it grows in intensity. The next section explores darker harmonic colors, and solo woodwinds offer commentaries on the theme. A series of repetitions of a decorated theme fragment leads to a tutti climax, and a brief dialogue for trumpet and horn. Then the strings, divided into fourteen parts including a solo quartet, play the entire theme, joined by harp and celesta. After a soft pause, a new accompanying figure begins in clarinets and harp, growing in just a few bars to include the full orchestra. In this final section, the tempo is still slow, but the rapid accompanying notes (six per beat) make it feel fast. 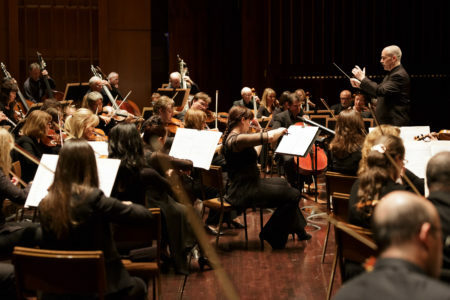 The formerly gentle theme is now exclaimed joyfully, first by violins and horns, and then by the full orchestra, leading to a declamatory, affirmative ending.